Ever wanted to teach in UAE? 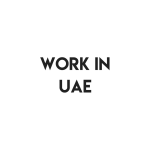 Are you a qualified teacher from the UK, looking to teach in UAE? Have you considered coming to teach in the UAE, or more specifically the newly-built high-rise city of Dubai where there’s a large demand for teachers? Prospero Teaching can offer you guaranteed work supply contracts as well as a full relocation package – assistance with accommodation, relocation payment and much more! Prospero has an abundance of teaching jobs in Dubai and throughout the UAE. Many of us at Prospero are teachers ourselves and understand your passion for educating young people is what drives you. However, we also understand that in today’s economic climate every penny counts and believe you deserve to be rewarded for the excellent job you do, so we offer fantastic pay.